A Mysterious island, Ryugu Island, has emerged from the depths of the Pacific Ocean off the coast of Japan. Accompanied with typhoons and a supernatural red storm, the island's appearance has opened the gate of Yomi-No-Kuni and unleashed a wave of vile Oni and insane Yokai, creatures too long locked away in the grey lands of death. In the aftermath of the red sorm, normal men and women discover they are descended from ancient spirits. While some refuse their heritage, others accept their fate. From now on, they are no longer unarmed and alone in the face of the supernatural. Instead they are true heroes, armed with Ki swords, ritual incantations and destructive o-fuda. They are the new amry of the Emperor, charged with closing the gates of Yomi once and for all. 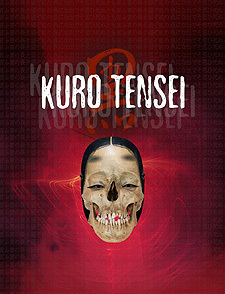 This last volume in the Kuro saga contains all the rules needed to take the character in your game into the Kuro Tensei setting, including new powers and new abilities you will also find an oveview of Japan, now plunged into a terrifying occult war, as well as formidable enemies and three complete scenarios. You will need the Kuro Core Rulebook to use the matertial in Kuro Tensei.